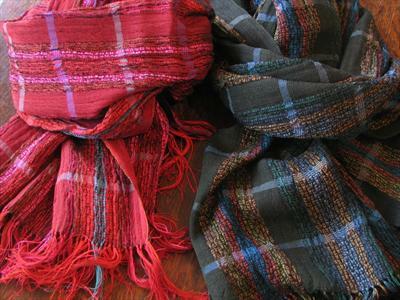 Handwoven silk & wool. More scarves available in this weave structure. £110 each. Handwash.